Last week I attended the Brisbane Evernote User Group (BEUG for short) and we were very fortunate to have Troy Malone from Evernote HQ (General Manager, Asia Pacific) join us over Skype for a chat about he uses their product in his daily life. How cool is that? It was pretty late his time too (midnight I think), so you have to hand it to Evernoters for evganelising. I asked Troy what tool he recommends for clipping content from iOS apps into Evernote and he introduced me to the Lightly app made by Ignition Soft, the same company that makes Everclip, one of my other favourite iOS apps. So that was a win. (FWIW – Lightly is great for copying certain lines of text from a page you’re reading on your browser into Evernote, but I prefer Everclip for copying content out of other apps, like iBooks, etc). 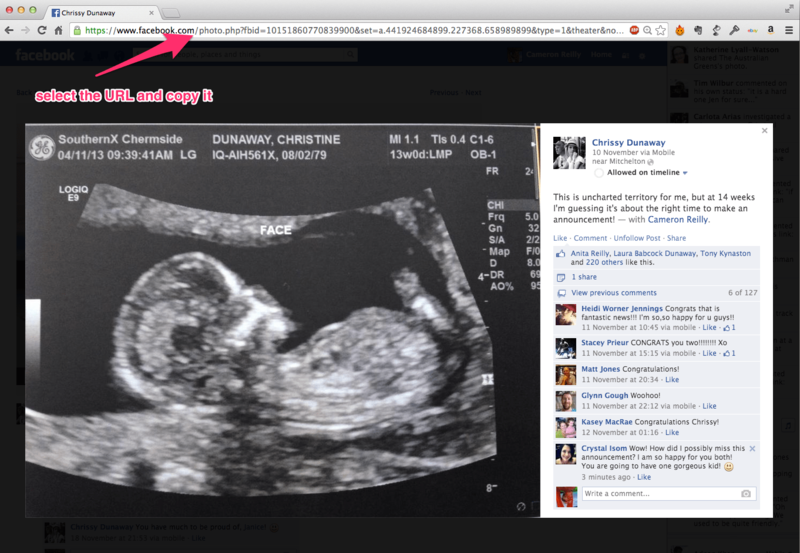 It wasn’t easy, but I nutted it out a few weeks ago when my wife, Chrissy, announced she was pregnant on Facebook. 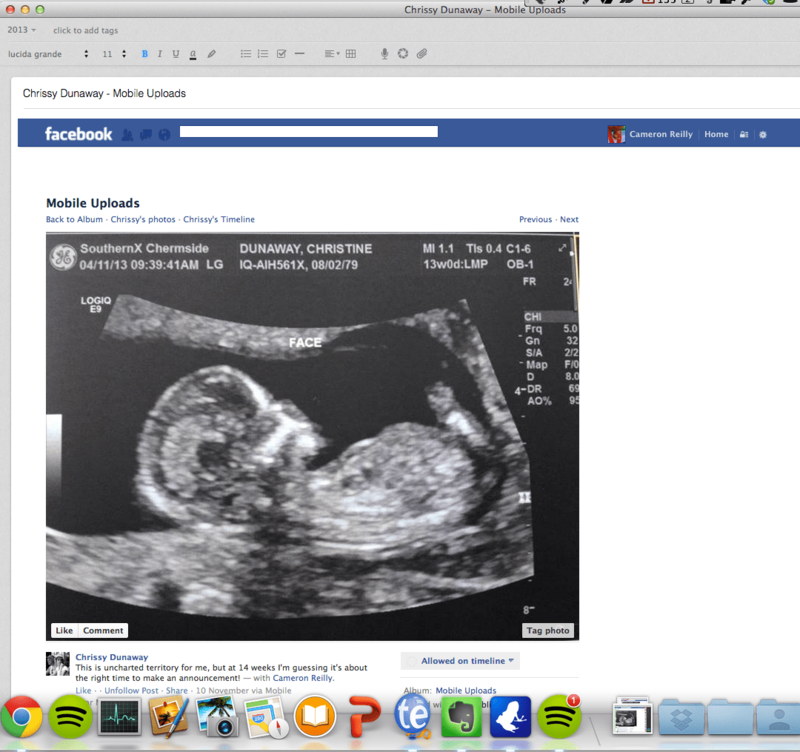 I thought it would be nice to save that for the baby book – and of course, the natural place for it is in Evernote. So if anyone else is trying to work out how to clip a Facebook post (and its comments) into Evernote, here’s how I do it. Open up the post you want to save. 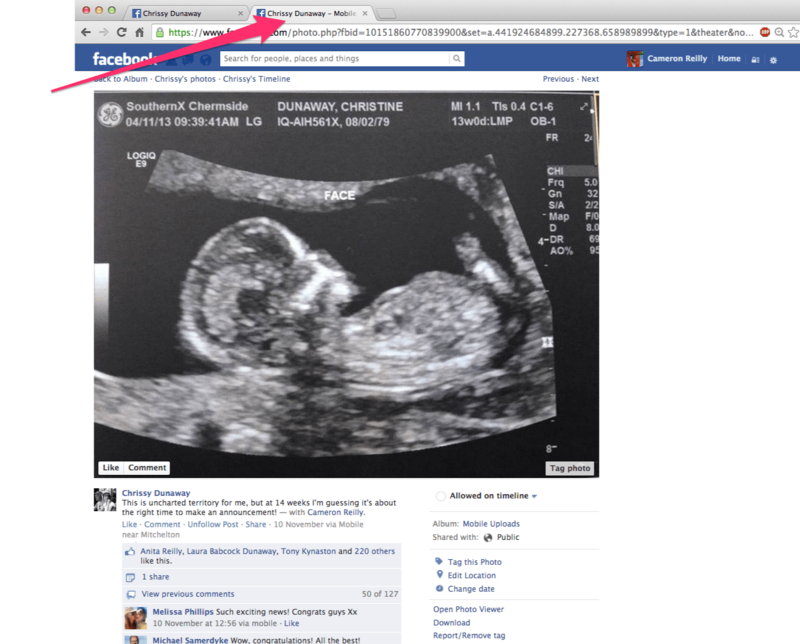 Facebook will open it in “Theater mode” – which is nice to look at, but annoying to try to clip into Evernote. Select the URL in the address bar and copy it. Expand all of the comments (if you want them to end up in Evernote). Cick your good ol’ Evernote Web Clipper, select “Full Page” and “Save”. Hey presto! 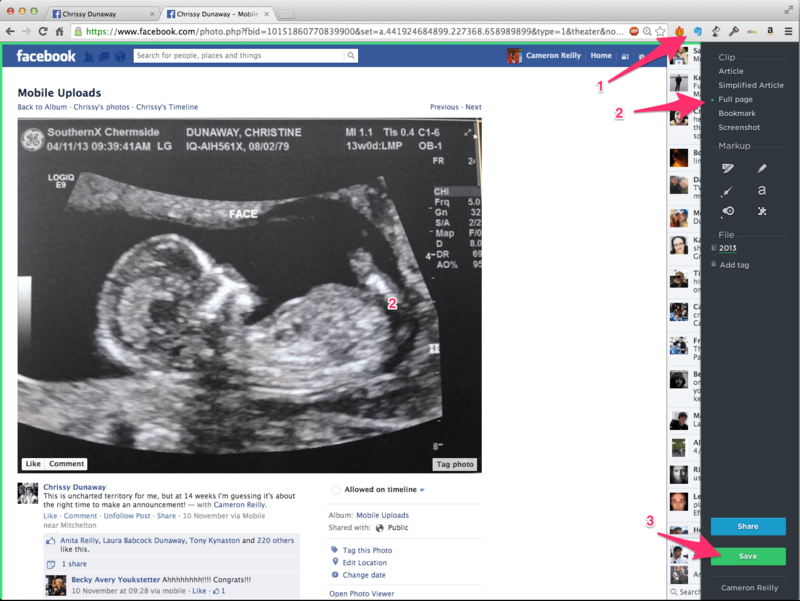 Once you have synchronized Evernote, you’re post will look just like it did in Facebook! I hope that helps some of you to get more out of Evernote! HI Sangeeta, yes the clip will remain in Evernote if deleted from Facebook. I find it clearer to drag across the actual FB details like photos & comments then clip as Selection rather than Full Page otherwise I get all the other “guff” included in the clipping. You’ve just changed my life with this. Thank you.